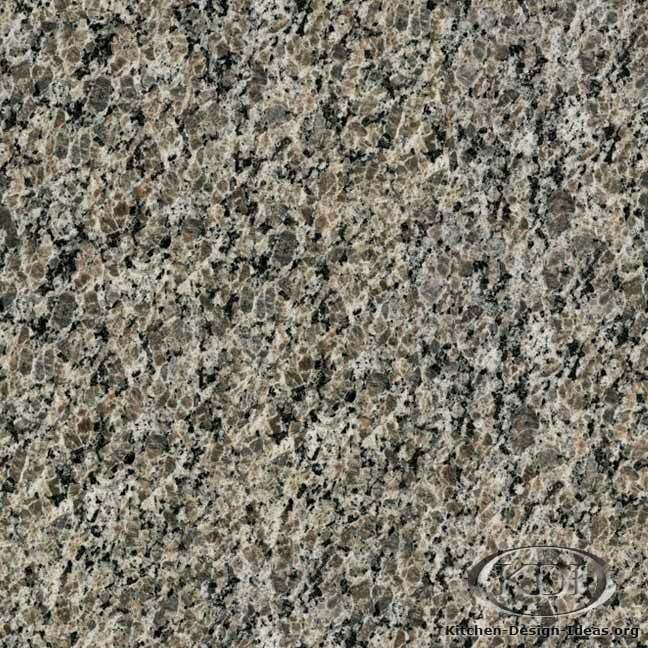 Designer Comments: Occasional splashes of rusty copper colors enrich this largely gray and beige stone. 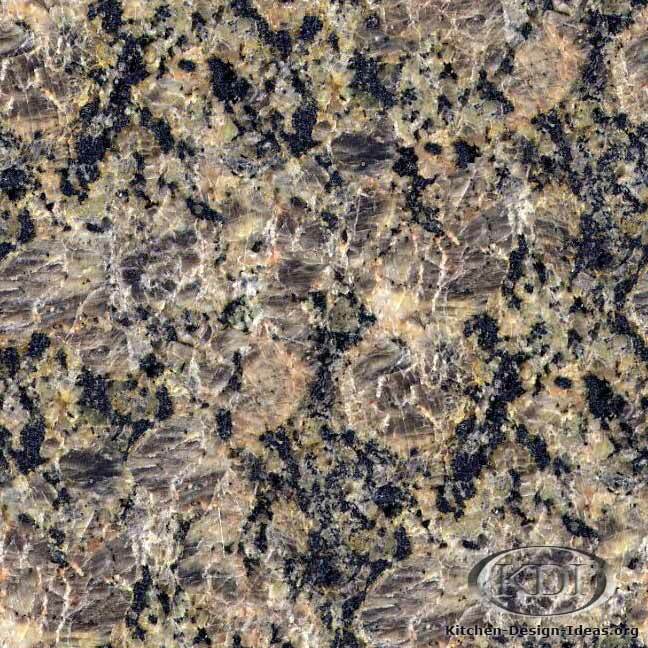 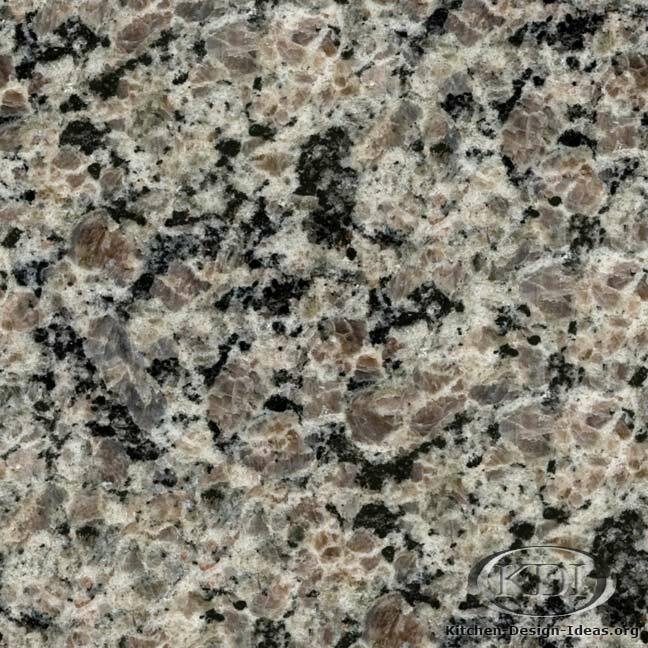 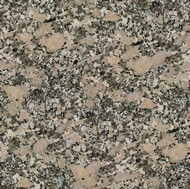 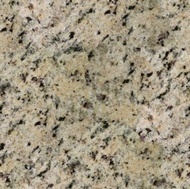 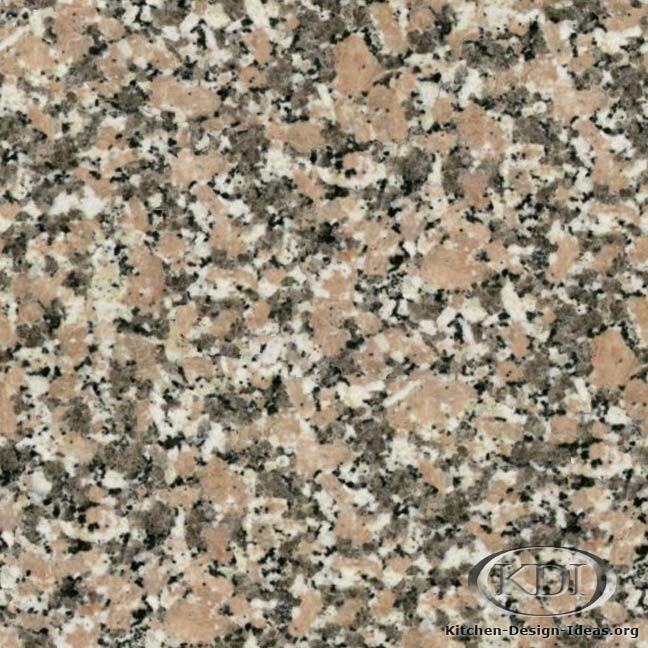 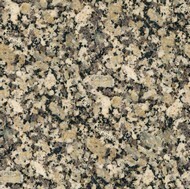 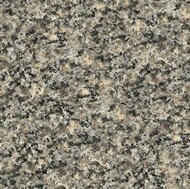 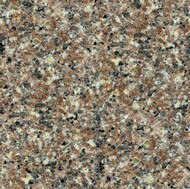 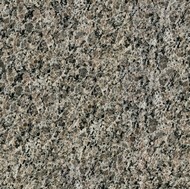 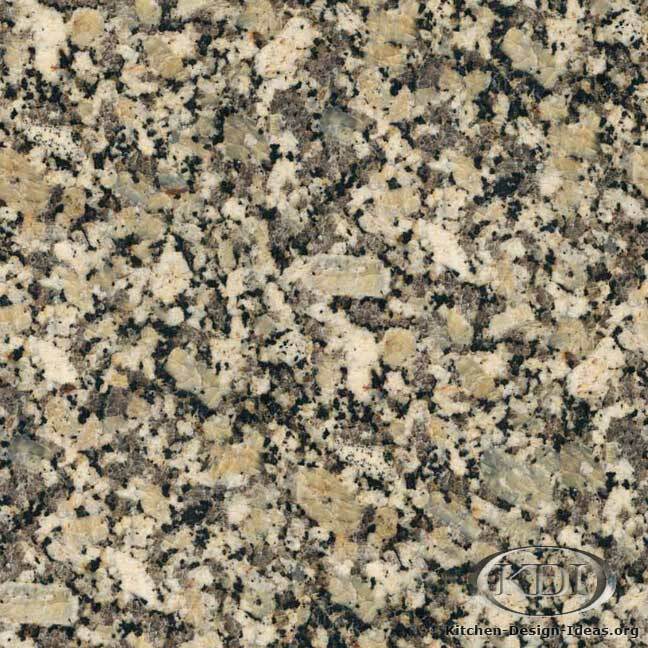 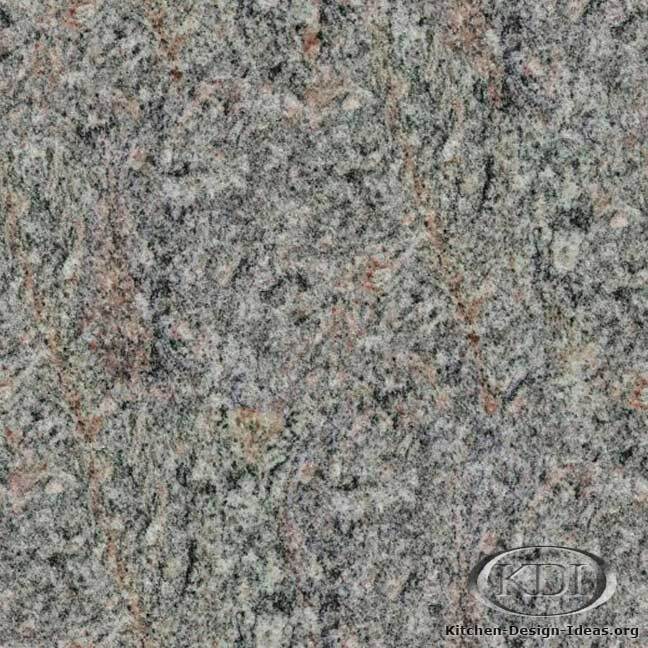 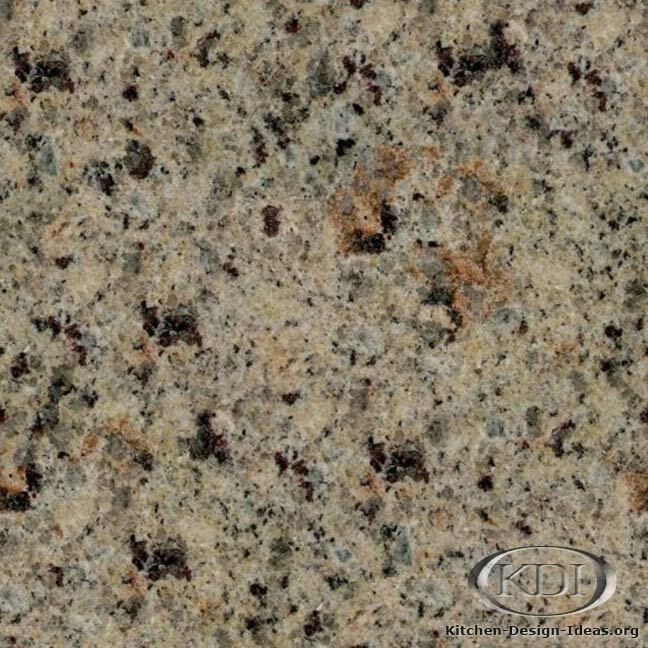 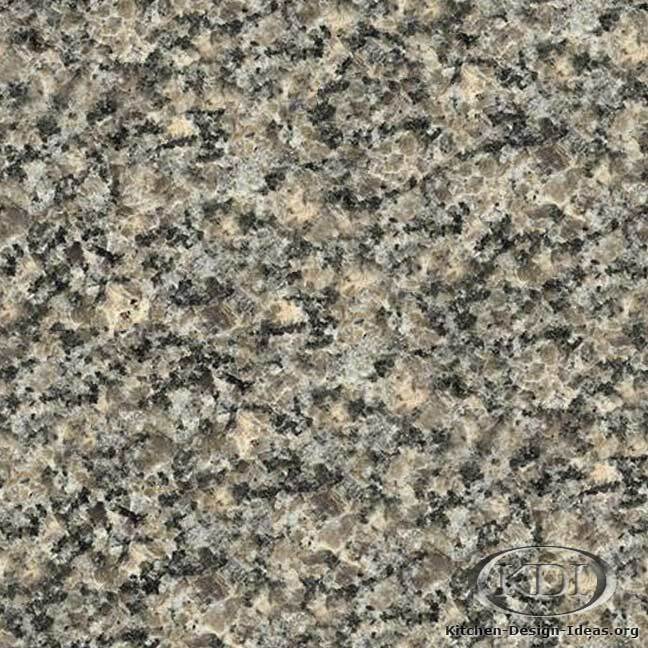 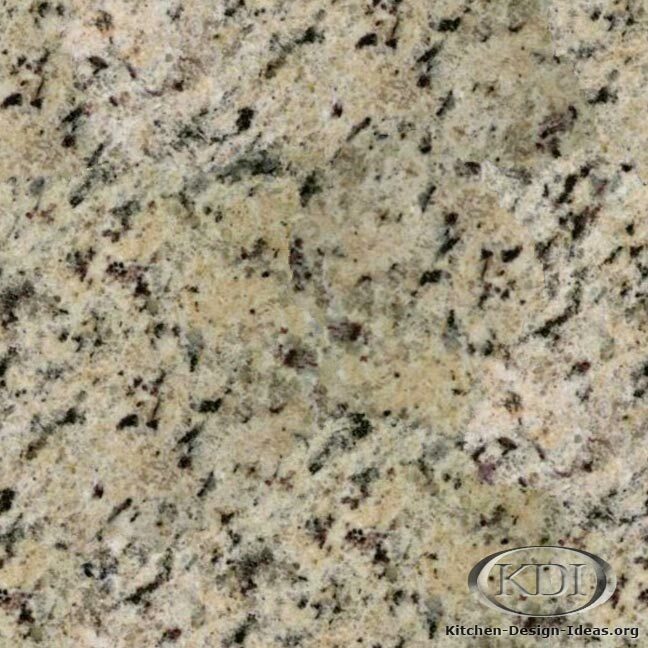 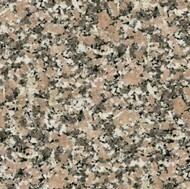 Spots of black minerals on the surface add contrast to this earthy granite color. 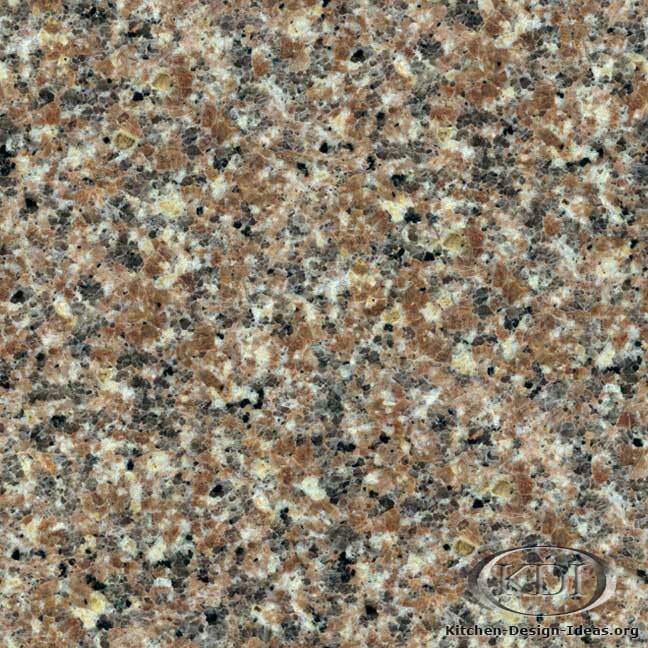 Amarelo Dakar could go well with a variety of cabinet colors, especially medium brown, dark walnut, and dark golden-brown cabinet stains. 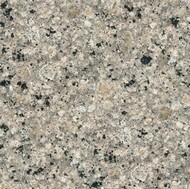 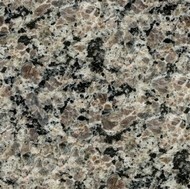 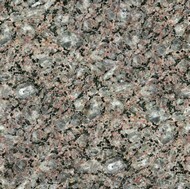 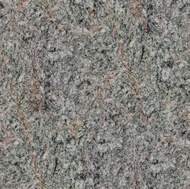 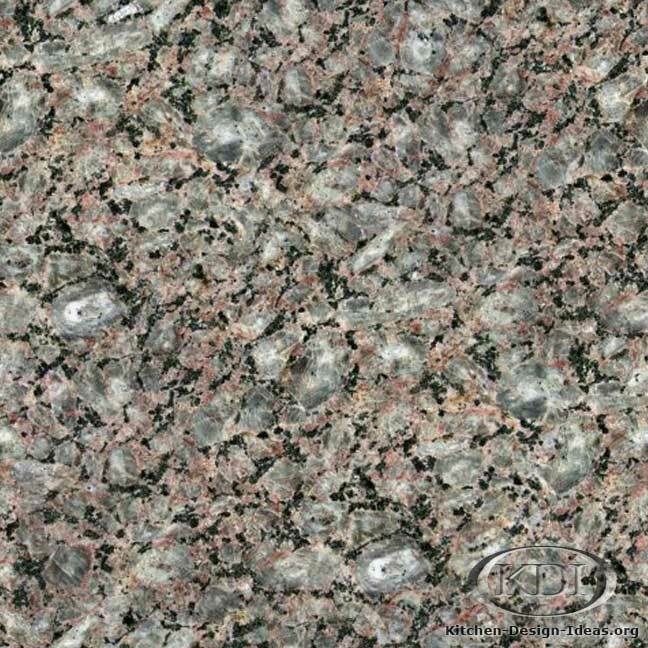 Caveat: Because granite is a product of nature, there is potentially a great degree of variation. 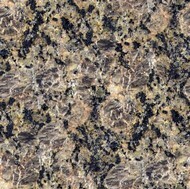 Do not rely on the colors and images you see here, as they most likely are not be true to life. 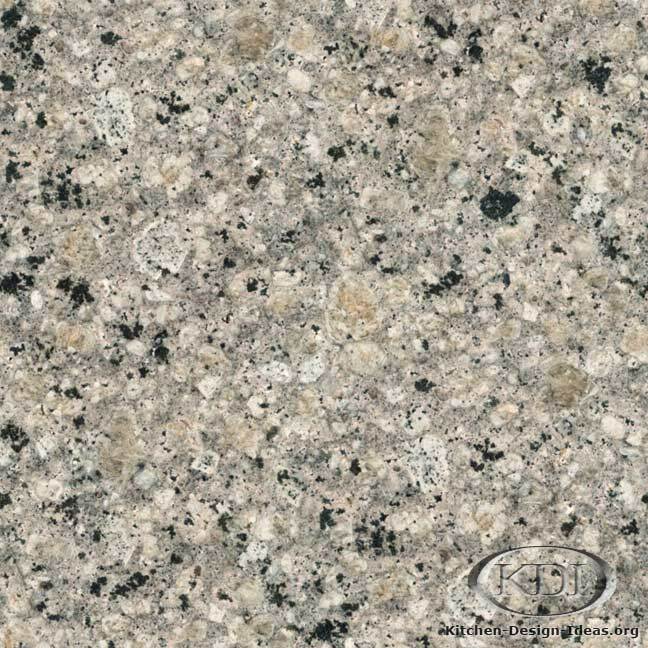 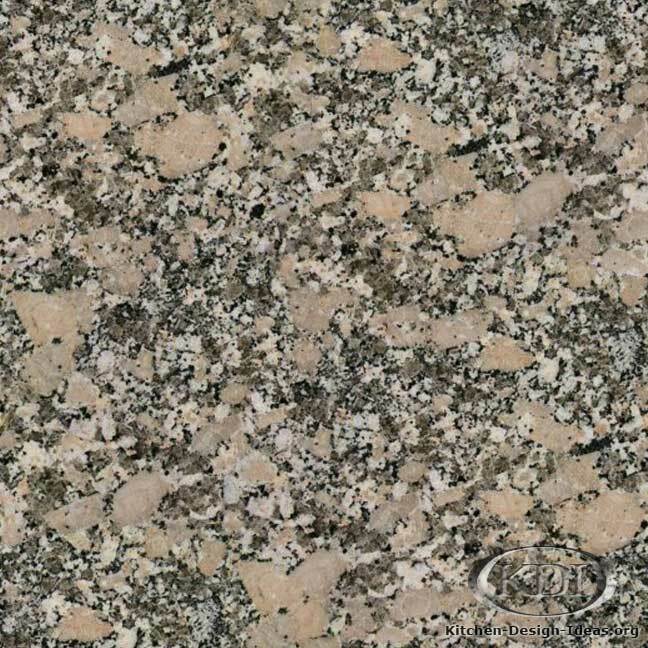 Make sure to hand pick your particular slabs yourself when ordering granite for your kitchen countertops, before finalizing your color choice.